After signing Ronald Acuña to a team-friendly deal worth at most $12.4 million annually over the next decade, the Atlanta Braves have locked up another one of their young players with a dirt-cheap extension that’ll last beyond arbitration and through his entire 20s. 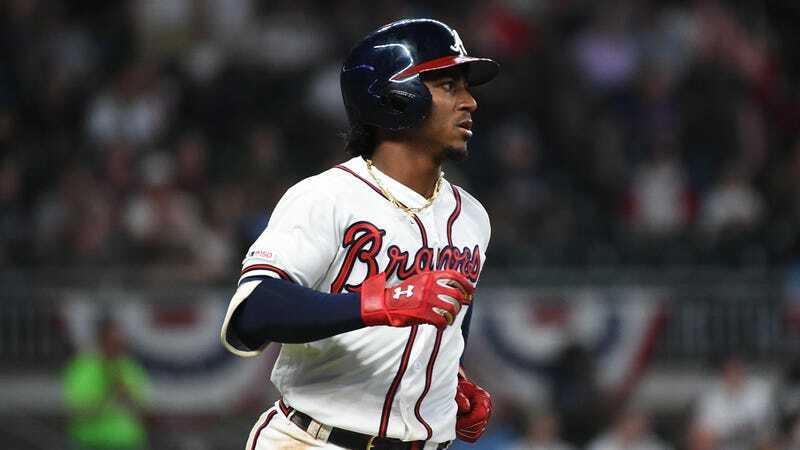 Second baseman Ozzie Albies, currently at the beginning of his second full major league season, will now reportedly avoid free agency until his reaches that age where no team will want to sign him. Those two options mentioned there, Joel Sherman reports, are worth $7 million each, bringing the deal to a maximum of nine years/$49 million. Even before you take into account a near-decade’s worth of inflation, that cost is an absolute steal for the Braves. Albies was a 3.8 WAR player in his age-21 season last year, showing impressive power for a second baseman while also looking strong on defense. To lock down Albies for his entire prime at an average of $5.4 million a year, even if he doesn’t fulfill his full potential and settles into a role as like a 2.0 WAR/yr player, is a dirt-cheap price to pay. To give some context on how low that $5.4 million yearly paycheck is for Albies, here are the contracts of some other second basemen around the league. Jed Lowrie has been making at least that much (and often significantly more) for the past six years of his career. Rougned Odor has a bigger contract than Albies. Brian Dozier is making almost double Albies’s price tag. Javy Báez got that $5+ million in his very first year of arbitration. Scooter Gennett is making twice that much in his third year of arbitration. Asdrúbal Cabrera made more in his prime, five years ago. Jason Kipnis, for god’s sake, is making nearly triple Albies’ new average salary this season. For that matter Carlos Baerga made comparable money when the Cleveland Indians signed him to a contract buying out his arbitration years, and he played 500 years ago. At least we can be confident that the Braves, thanks to this incredible deal they’ve been gifted, will certainly pass those savings on to their fans.